Gadgets, big houses, fast cars and a lot of other gorgeous things, a lot of actors have them. The millions that they receive when they make movies allow them to afford a great lifestyle with everything they ever desired. Here are some of the wealthiest male actors. Will Smith has had a long number of successes during his movie career, and his last 8 movies have brought over $100 million each, something that no other actor has ever managed. The amount of money he got from movies is estimated to be at around $80 million. 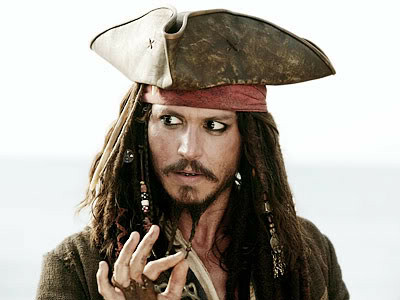 Another actor with a lot of success in movies, Johnny Depp played in movies like Pirate of the Caribbean or Edward Scissorhands. His movies got over $4.7 billion worldwide. His fortune is around $72 million. An actor with a great humor, Eddie Murphy is well known for the movie “The Nutty Professor”. His fortune is around $55 million. An actor with a fortune of ~$55 million, Mike Myers played in eccentric movies like Wayne’s World and Austin Powers. Famous for his role in the movie Titanic, Leonardo DiCaprio also played in Blood Diamond and What’s Eating Gilbert Grape. He is worth around $45 million. You might know this great action movie actor from titles like Die Hard, which continued into a series of movies. The name of the character played by Bruce Willis in those movies was John McClane. The action movies that he played in allowed him to amass a fortune of $40 million. A great comedy actor, Ben Stiller played in renowned movies like “There’s Something about Mary” and “Meet The Parents”. He managed to get a fortune of $40 million by playing in a large number of comedy movies that a lot of people enjoyed all over the world.